My friend Kris is on the final day of her fundraiser to help bring her daughter home. She should be getting a SN referral ANY day now!! She is giving away a Wii, which is impossible to find this time of year! My boys would FLIP over that for Christmas!! The last day to enter is TODAY, so get over there and get yourself a chance at a Wii… for a great cause! From Holly: This past year, Love Without Boundaries Foundation started a Cleft Healing Home in Anhui Province to provide skilled and loving care for children born with cleft palate. Right before the home opened, a couple of children who were to be in its first group passed away due, in large part, to the difficulty of drinking a bottle. At the Cleft Home, they would have had a special nanny feeding them fortified formula with a cleft bottle. These children missed life-saving cleft palate surgery by such a short period of time, as well as the chance of being adopted into families of their own. We have raised $950 so far and need to raise an additional $1,450 in order to heal two children this Christmas. Please join us at www.100giftsofhope.org and help us in this effort by sponsoring a child to have life-saving cleft palate surgery. Recently I learned about another incredible new project, called Morning Star. It is run by an American couple, living in China, who are doing everything they can to care for special needs children. Lori, a close friend of theirs, is holding a fundraiser to help them make a very special, and very necessary purchase… you can visit her blog to read more of the details. Please consider giving to this very worthy effort, even if you can’t give a lot, every little bit helps! Lisa, from Lost and Found, is a new SN momma to beautiful daughter Emme. She is hosting a fundraiser to help bring the children from her daughter’s orphanage a most basic need: shoes. Can you imagine how cold bare feet must be during the harsh winter months? One pair of shoes could make all the difference to a little one. Help Lisa bring the gift of warm tootsies to the little ones who still wait! One final project I want you all to have an opportunity to donate to is an online auction for Philip Hayden Foundation. I’m currently in the running for a stunning Chinese Wedding Box! From Karen: Just in time for Christmas, please stop by and check out the Philip Hayden Foundation Auction Blog! 100% of the proceeds will go to the care and medical needs for special needs orphans living at the Philip Hayden Foundation’s Shepherd’s Field Children’s Village. So there you have it, a virtual shopping mall of opportunities to give this year. So you have no excuses…. I’ve made it as easy as pie. If you are like me and you want to show your children the joy found in helping others, you can bring them here, to this post, and see which need touches their hearts. What a way to show them about caring for those in need by giving selflessly. Helping someone else always helps to put the focus on all that we have, instead of what we lack… what better gift to carry in our hearts this Christmas. Off to check out the PHF Auction!! This is AMAZING. May I link to it on my blog??? We are supporting Love Without Boundaries of course! They were so supportive to us in so many ways before we left for China and after we got there and found S so very sick. They were not able to “do” anything b/c of the pro*ince we were in, but their encouragement and support meant so much. They also understood much of what was happening behind the scenes b/c of their relationship with the Ch*nese. I could not believe how many of their volunteers contacted us to just encourage us to keep on petitioning. Thanks for doing this amazing post Stefanie! You inspire me to do more advocating! What an amazing charity LWB is, thank you for sharing a bit of your story!! Thanks Stef! 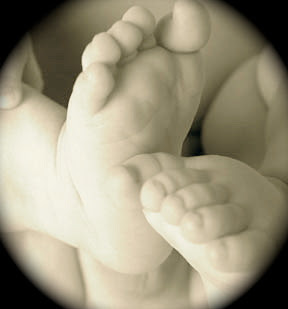 I am thrilled with how we’re doing so far for Toddler Toes and Precious Piggies and appreciate you spreading the word. I will have to go check out those other wonderful projects too and see how I can help. Thanks so much for speading the word about our auction:) You do an amazing job of raising awareness for all the special needs kiddos needing families. I know we’ve been blessed beyond words by our little ones and pray more families consider adoption. Thanks for this! My husband and I are giving a “different” type of gift to each other this year-no sweaters or ties. We are each finding an organization or cause to donate to that we know the other would appreciate. We’ll wrap the receipt or make a cute card for Christmas morning to surprise each other with our choices. I’ll have to send him this post as a hint of what may be important to me. 🙂 For him, I am tryig to find something on micro-financing. He’s strong believer in giving everyone a chance to better themselves long-term with starting their own small business especially in under-developed countries. Giving back is near and dear to both of our hearts.